Four new category-defining apps from the AppCenter Beta, plus the apps users are asking for. A couple of weeks ago I shared my AppCenter Spotlight: Beta Testers piece and got a great response. People continue to be excited to see the progress of AppCenter and how it’s coming together end-to-end. Since that story, I’ve been playing around with four more apps that have been added by our awesome beta testers. I think my favorite thing about AppCenter right now (besides how easy it is!) is that each new app I try seems to be unique and category-defining. When there are orders of magnitude more apps in AppCenter, these are the ones that set the bar. And so far, they’ve done a great job. Added right after my last piece, Bookworm by Siddhartha Das is a straightforward eBook reader. I had been following along with the progress on Google+, so I was excited to see it land in AppCenter for me and others to start using. 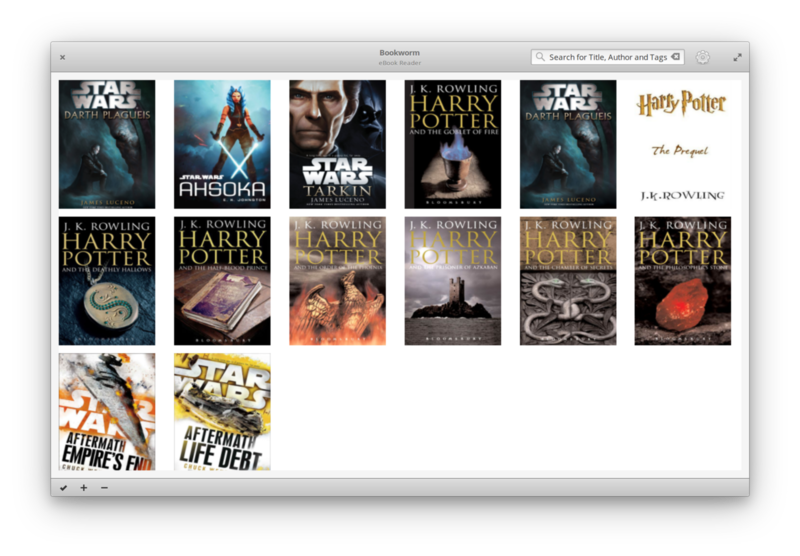 Bookworm is young but already fairly full-featured; it sports a library view, epub support, search, tags, ratings, and day/night modes. PDF and other format support is planned for future releases. This one was unexpected! Daniel Foré — yes, the founder and lead designer of elementary — started working on a little “applet” he’s calling Nimbus. It sticks always-on-bottom on your desktop and just displays your current location’s weather. Just displaying the weather is perhaps a bit unfair; it actually automatically changes colors based on the time and weather, auto-updates throughout the day, and can be set to autostart via System Settings > Applications > Startup. I’ve switched that on to get a nice little weather applet on my computer all day every day. And since it’s always-on-bottom, on all workspaces, and skips the alt-tab window switcher, it’s never in my way. 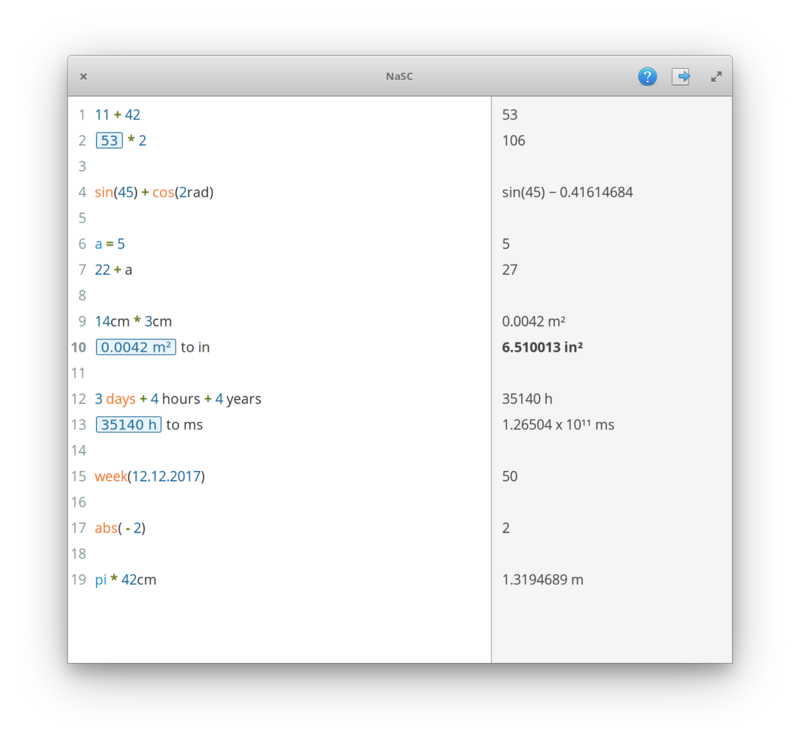 The intelligent calculator app NaSC by Peter Arnold has been around for a couple of years, but just made its debut in AppCenter. This is one seriously awesome app. Its whole deal is that you can mostly just write out equations using common units and syntax, and it instantly shows the answer in the right column. Then you can use that answer anywhere else, and it will always stay in sync if you change the original equation. It also does handy unit conversions, has an awesome tutorial that walks you through everything, has a crazy in-depth periodic table feature, and supports exporting to PDF and PasteBin. 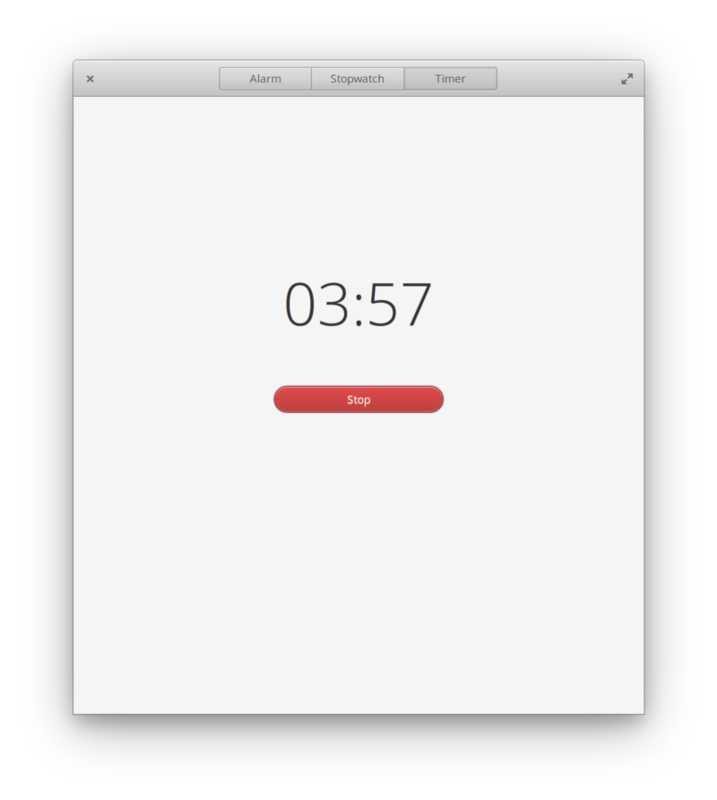 Hourglass by Sam Thomas is a simple little time app; it provides a stopwatch, alarms, and timers in a lightweight window. 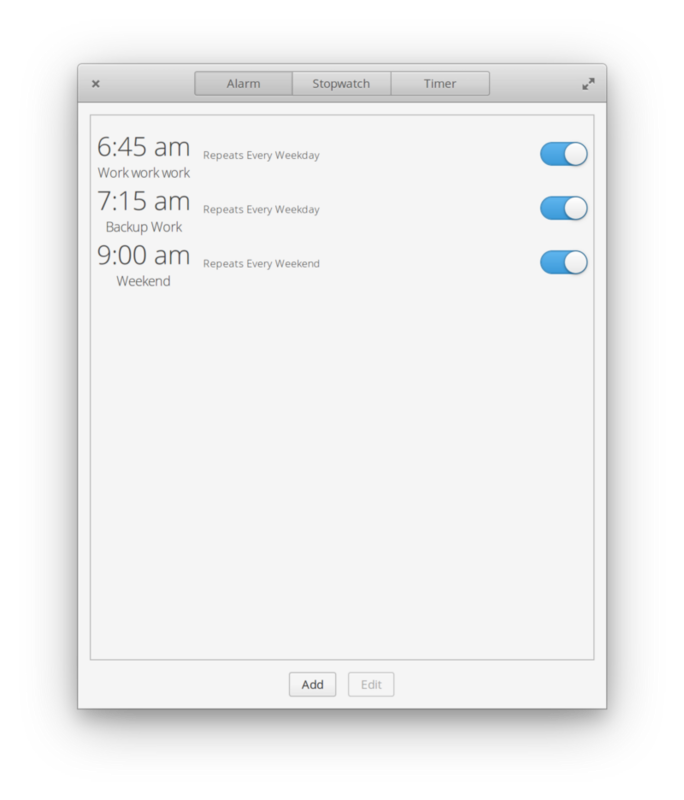 It already does all the smart things you’d hope for, like stays running in the background even when the UI is not open (kind of important for alarms! 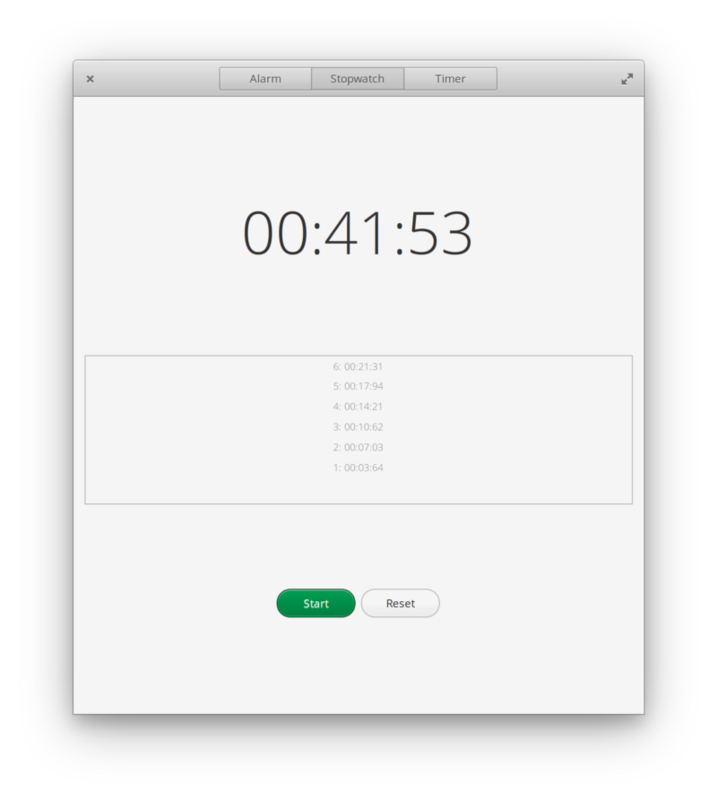 ), has recurring alarms based on day-of-week, and has a handy lap counter with timestamps for each press. I look forward to getting updates to Hourglass via AppCenter and seeing how it develops! A common request from readers and coworkers of mine at System76 is a contacts app. While Mail will suggest email addresses it knows about (from the to/from fields of emails in its database), some have expressed a want for a more full-featured contacts app that stores details. I imagine hooking into EDS would be ideal, and there are plans for Mail to tap into that database as well, so this could become a very well-integrated app. One reader expressed interest in a client for Ring, an open source end-to-end encrypted video chat platform. I hadn’t heard of this platform before, but it looks pretty interesting, and a solid native video chat experience would be great to have. A common request was for web developer tools. Web developers who love elementary OS for getting out of their way want modern apps to do their jobs with the sort of attention to detail that elementary apps feature.